People often imagine that being a major European city and a popular tourist destination, Barcelona must be crazy expensive. 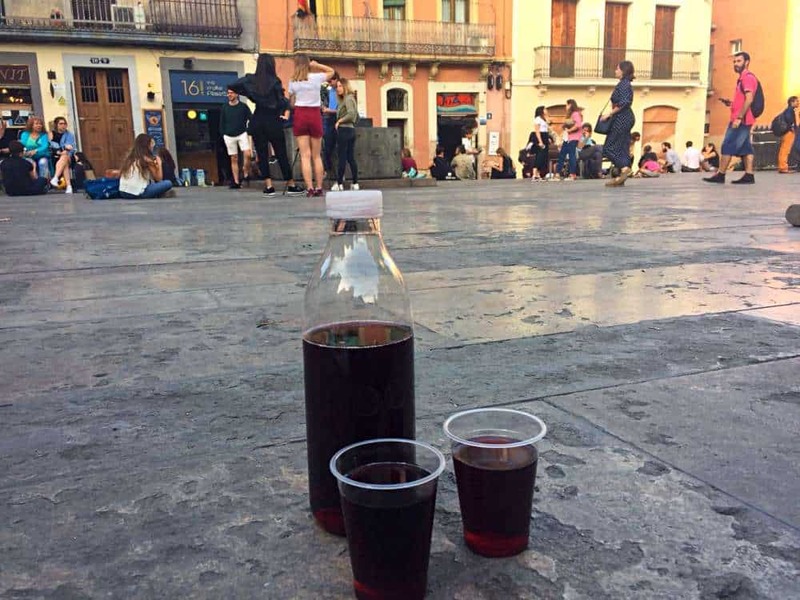 While it’s definitely possible to part with plenty of dollar, it’s actually relatively easy to visit Barcelona on a budget. Better still, you can live extremely well on a meagre allowance, without missing out on any of the good stuff. That includes dining in restaurants, awesome nights out, and even visiting all the top sights. 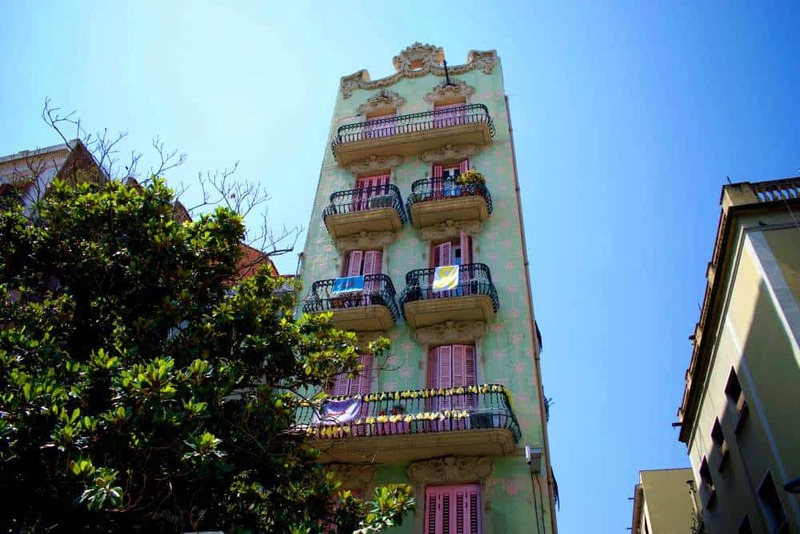 By far your biggest cost in Barcelona, as with most destinations, is going to be your accommodation. But if you choose the right option, even this doesn’t have to break the bank. For everything else there are endless possibilities to see and do things for free or extremely cheaply. 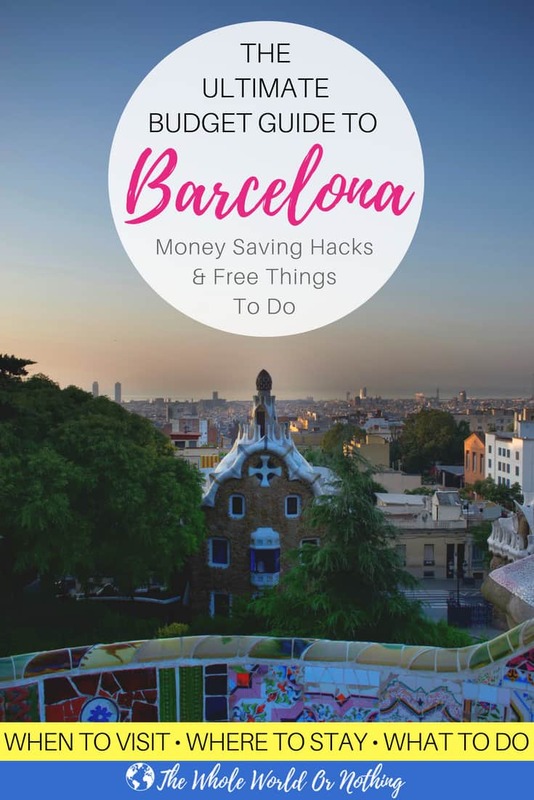 With these tips, tricks, and pieces of top advice it’s extremely easy to visit Barcelona on a budget. Timing can be all important when it comes to visiting Barcelona on a budget. The city is extremely seasonal, with the summer months of July and August seeing a massive spike in visitors. You’re unlikely to score cheap flights to Barcelona during these months. You should also expect much higher accommodation prices to match. If you’re able to pick and choose when you visit you’d be best off avoiding this peak period altogether. 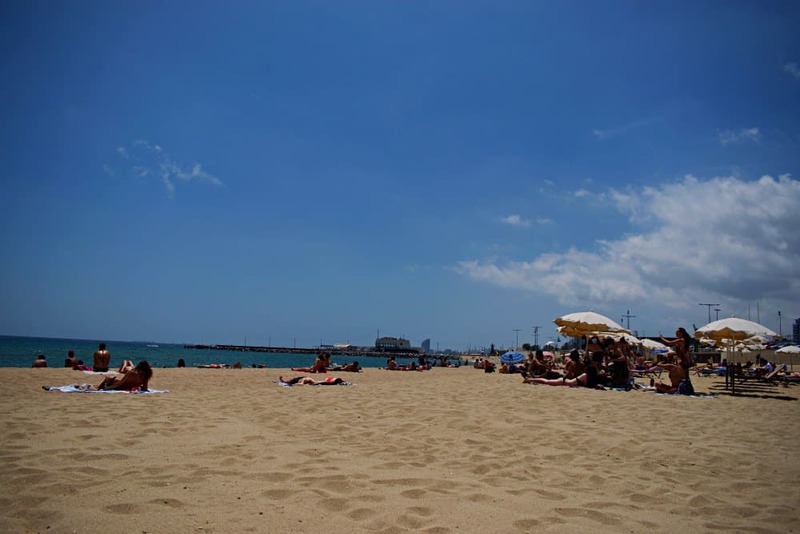 One of the biggest attractions for many people is Barcelona’s great weather. But beware, it’s not sunshine and blues skies all year round. Between November and April it’s actually quite cool with temperatures dipping to lows of around 7C (44F). Barcelona can also experience heavy downpours over winter which can drastically limit what activities you’re able to do. It’s such an outdoor focussed city that when it rains for days on end it can actually become quite miserable. The sweet spot of shoulder season comes in the couple of months either side of summer. The temperatures in May and June, and September and October are still in the mid to late 20s (70-80F). The added bonus is less crowds and lower prices meaning it’s the best time to visit Barcelona on a budget. 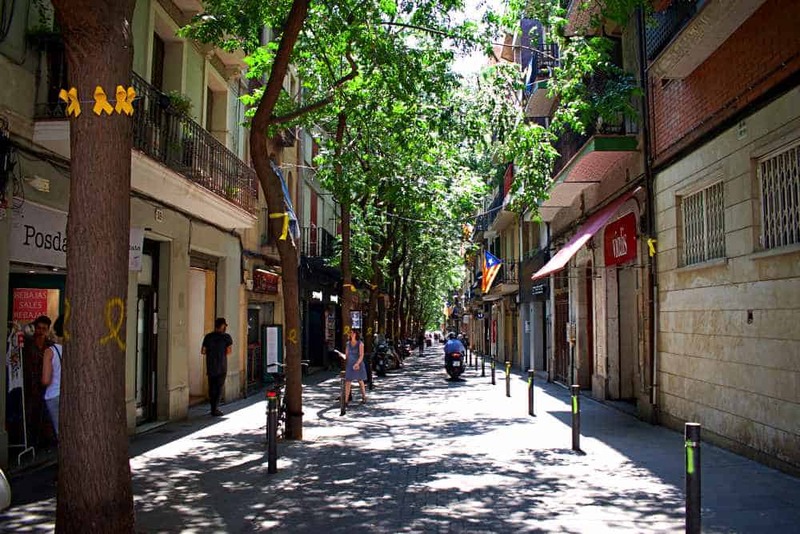 Most people visiting Barcelona stay in and around the Gothic Quarter and La Rambla. It makes sense as they are completely central and right in the thick of all of the action. But you’ll also pay big bucks for the pleasure of staying in one of these locations. However, Barcelona is easy to get around by foot or on public transport. This makes it just as viable to stay in one of the neighbourhoods a bit further out. It will also give you a completely different and more local experience of the city. Each neighbourhood has its own things going on, so where you pick should be decided by what you’re into. 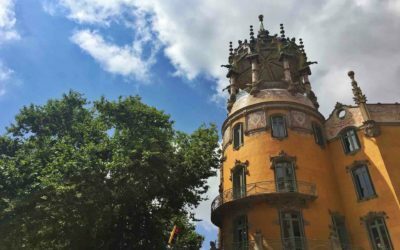 Our top recommendations are below, but check out this full guide on where to stay in Barcelona for more detail. 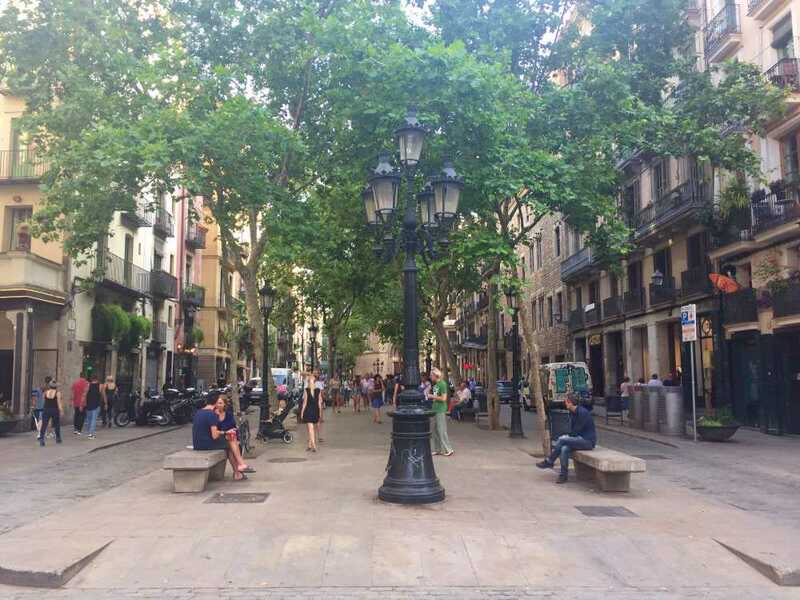 The neighbourhood of Gracia is full of independent bars, restaurants, and designer boutiques, and feels like a separate village within the city. 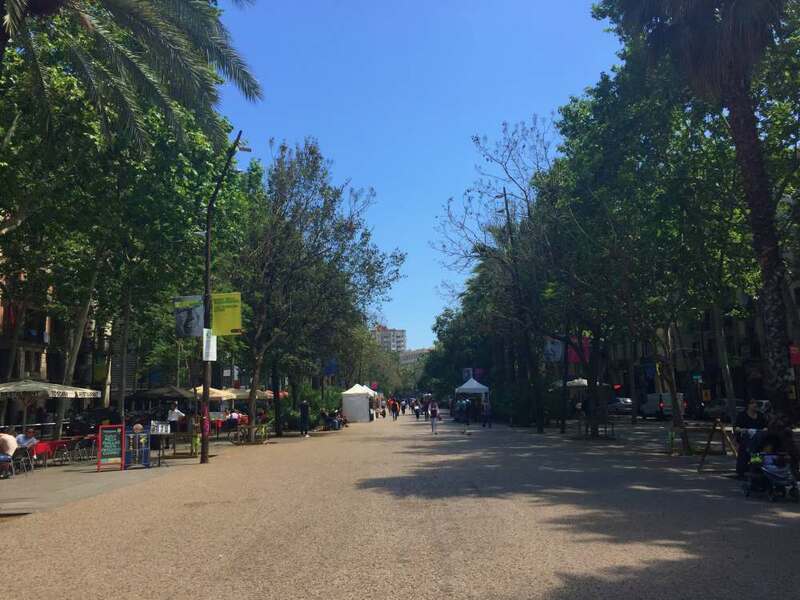 Its long, narrow streets are lined with trees and there are lots of cool squares to chill out in. El Borne is still central, but off the main drag of La Rambla and outside of the Gothic Quarter. It’s trendy and upmarket, and has some fantastic, high quality restaurants and bars and is refreshingly bright and open. 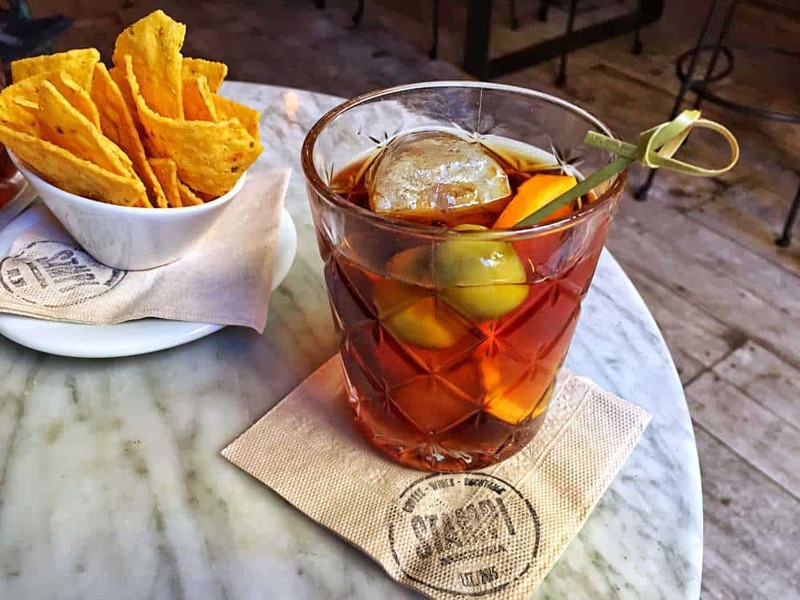 El Raval is a good way through the process of shaking off a bit of dodgy rep. It’s often referred to as “up and coming”, but while still retaining an edge, is transforming into a cultural hub. 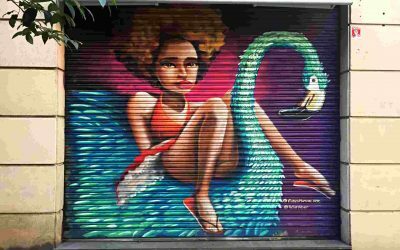 There are lots of little galleries, great street art, and plenty of diversity to be enjoyed here. 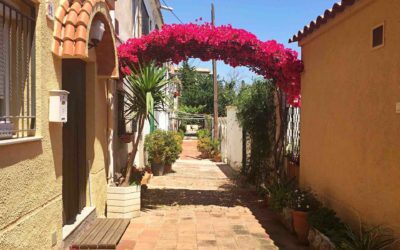 Once you’ve picked which area to base yourself in, you’ll need to figure out how to secure some affordable accommodation. As with any major city you’ve got plenty options available. Hotel prices tend to start at around €100 per night during the most popular times. While it’s not outrageous, it’s also not a great start for planning to visit Barcelona on a budget. For a hostel you’re looking at paying upwards of €25 for a bed in a shared dorm at the very least. Double room prices start at around €70 per night, but they’re not too common. Providing by far the best value for your money is booking on Airbnb. If you’re not a member yet, sign up via this link to receive a £25 credit to use on your first booking. With Airbnb you can get a private double room in a stunning apartment for around €25 per night. For a full 1 bed apartment expect to pay around €80 plus. There are also plenty of additional money saving benefits to staying in an Airbnb. If you’re staying in a private room in someone’s apartment you’ll be able to tap them up for local knowledge. As residents they’ll be able to give you the lowdown on cheap tips, upcoming events or secret locations. You’ll have access to a kitchen meaning you can save on food by cooking some meals for yourself. You also get all of the comforts of staying at home, like a living room and other shared spaces. 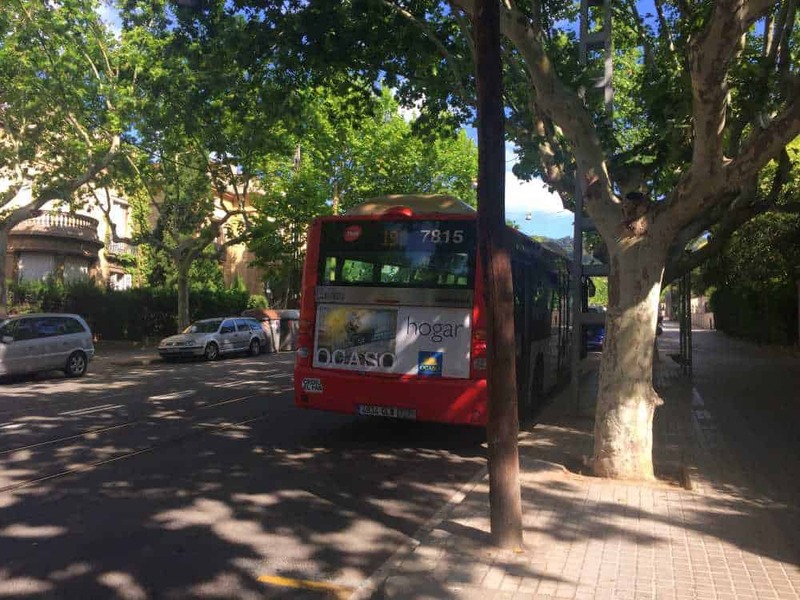 Barcelona is served by a top notch public transport network that includes busses, metros and trams. All of these are reasonably priced, especially when compared with other major European cities. The network is modern, quick, and clean, and you can reach anywhere you need to go within Barcelona on it. The way to get the best value from the public transport network is to purchase a T-10 card. You can buy these from metro stations, and they entitle you to 10 journeys on any form of transport. They’re currently €10.40, making it just over a Euro per journey. And you can even use your T-10 to get to and from the airport – far cheaper than a €50 cab. While the transport network is fantastic, the real keys to visiting Barcelona on a budget are your feet. It’s actually a relatively small city, and many of the best attractions are within walking distance of each other. So bring some comfortable footwear and be ready to get your yomp on. Don’t be fooled by the number of stops on the metro when trying to figure out distances to places. Most metro stations are extremely close together. You also tend to have to walk quite far between lines if you need to change during a journey. Because of this it can often be far quicker to just walk instead of taking the metro. Before making any journey, check out how far it is to walk, and how long it will take by metro, bus or tram. You can do this on Google Maps or Maps.Me, then use Citymapper to compare it to the metro time. 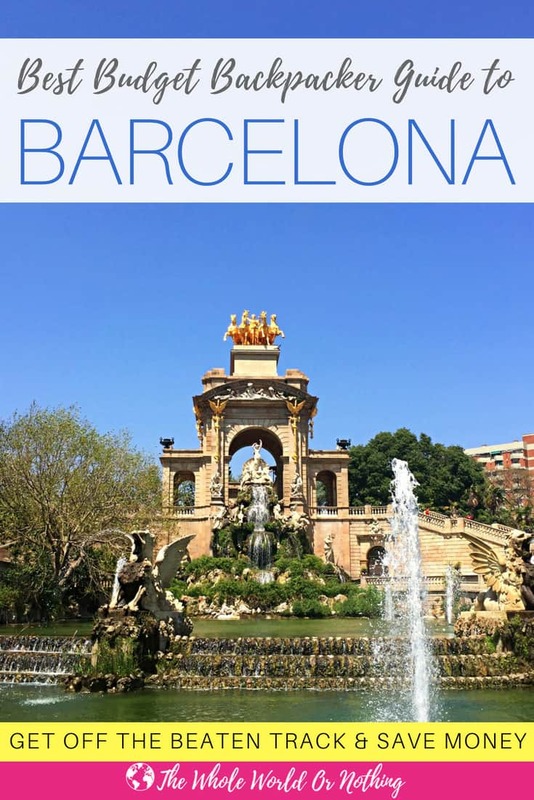 Sightseeing in Barcelona on a budget can appear difficult when you discover the entrance fees for the top attractions. But there are numerous ways to keep costs down and sneaky Barcelona hacks that will save you €s. Many of Barcelona’s top museums waive entrance fees for one afternoon or day, per week or per month. For example, there are quite a few that offer free entry each Sunday after 3pm, and all day on the first Sunday of each month. If you time it right you can visit museums like the Museu Blau, or Museu Picasso, without parting with a dime. Of course the crowds tend to be a little bigger, and queues a little longer. But you can’t complain when you get to come eye to eye with breathtaking masterpieces and incredible exhibitions for free. Check out up to date information on the museums and art galleries that take part in this scheme here. Lots of the very best attractions in Barcelona are completely free to enjoy, regardless of when you go. 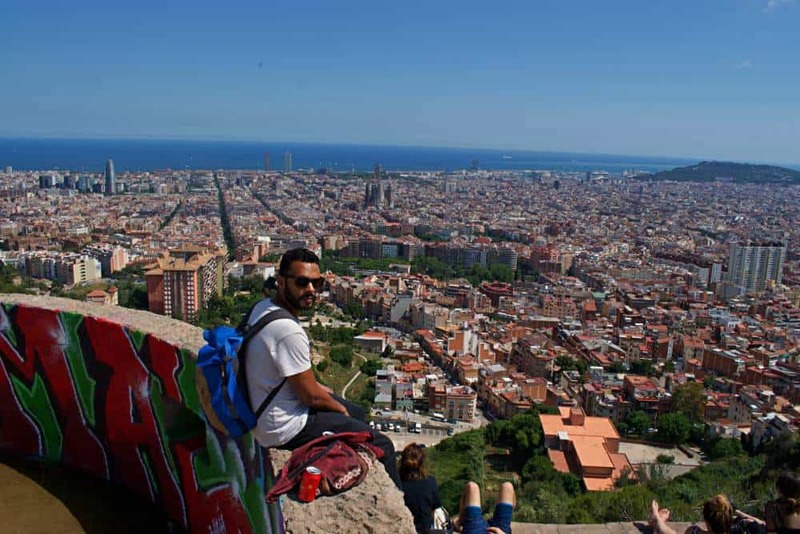 Taking advantage of these is a great idea for anyone planning to visit Barcelona on a budget. 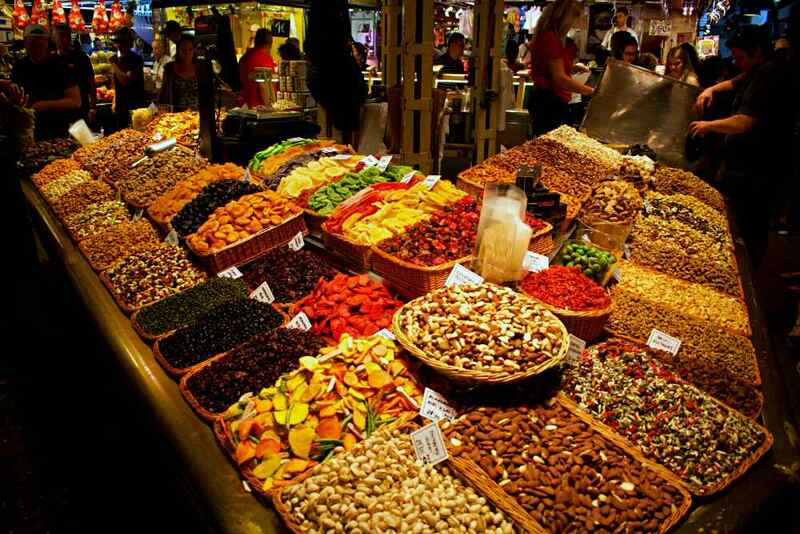 Soak up the electric atmosphere with a stroll around La Boqueria market on La Rambla. Chill out in the central Parc de la Ciutadella. Hit the beach for the day and soak up the rays. 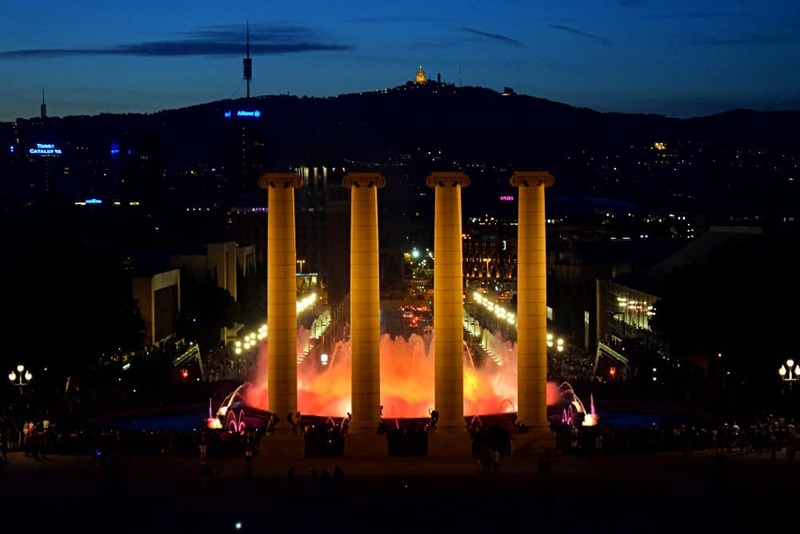 Head to the Montjuïc Magic Fountain show. None of these things will cost you a penny but will still provide you with hours of fun. 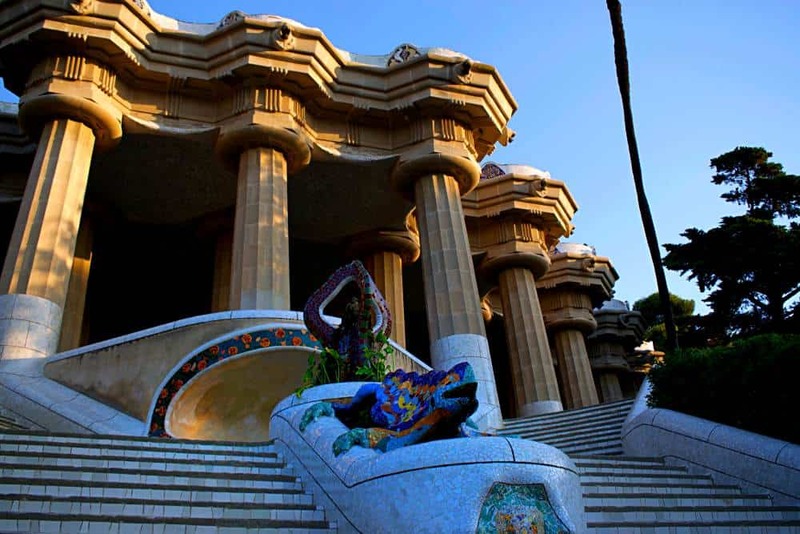 Parc Guell is one of many Gaudi masterpieces dotted throughout the city, and a must-see on any trip to Barcelona. But general admission starts at a reduced rate for online booking of €7.50. While it’s not a bank buster, it’s pretty still pretty steep. Particularly when you consider you can get in for zip all. Before the park opens, and following its official closing time, you can just wander in. There’s no breaking and entering or even fence jumping. The gates are just open. Security is still present but they don’t hassle visitors in the slightest. This means that you can witness a magical sunrise or sunset in one of Barcelona’s top attractions for absolutely nothing. 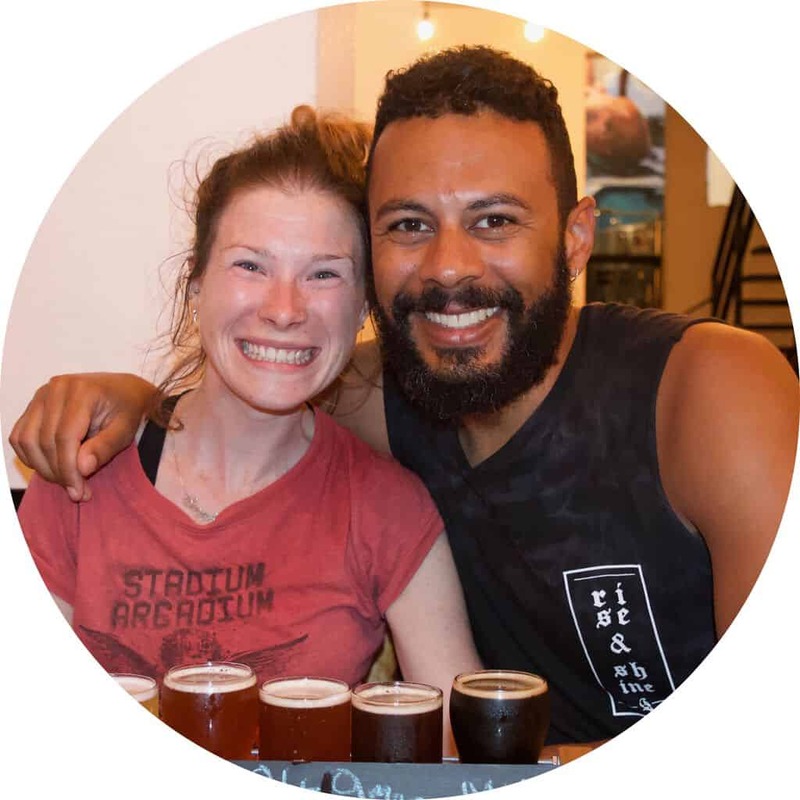 Opening times vary depending on the season so check them out here beforehand to avoid disappointment. We went at 7am before the summer 8.30am opening time. 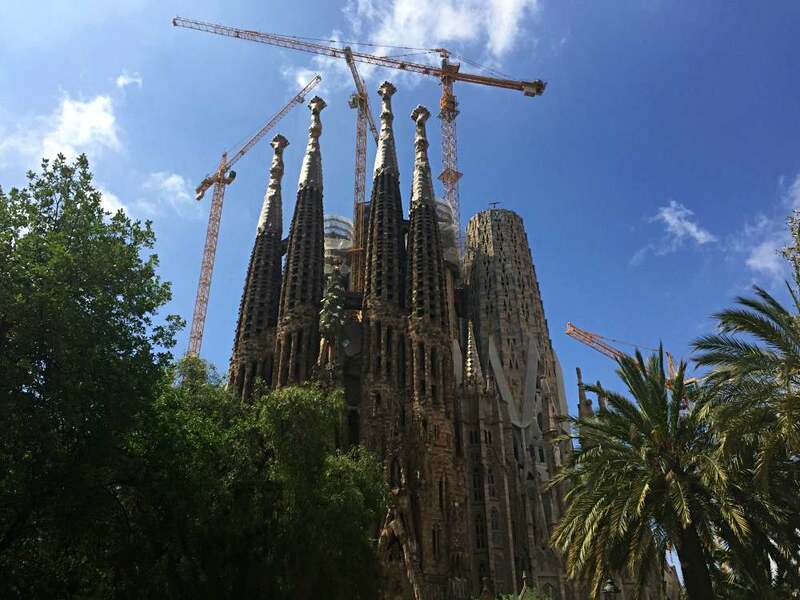 Hailed as Gaudi’s masterpiece, the unfinished Sagrada Familia is definitely a feast for the eyes. It tends to divide opinion among visitors, but love it or hate it, it’s well worth a look. Entrance fees are steep, but while the inside is undoubtedly impressive, it’s the spectacular facade that is the real attraction. There’s a park at either end of this huge architectural feat and each provides spectacular views. One side boasts visibility of the original structure, the other of the more modern additions, both are free. You can also walk all the way around the Sagrada Familia. Watching the designs and embellishments shifting and transforming as you go will give you a small insight into Gaudi’s mind. 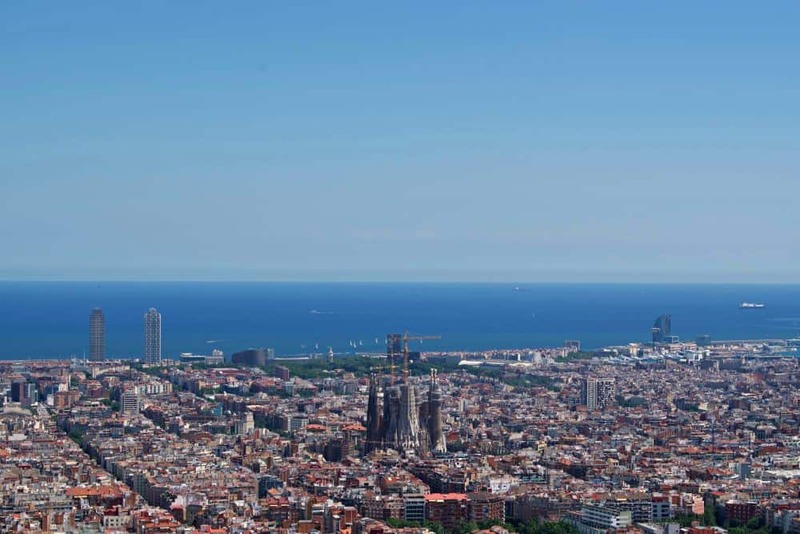 The Bunkers Barcelona provide you with the best aerial views of the city, hands down. They’re a brilliant place to chill out for a few hours as you drink in the 360° vista. Showing favourites from both classic and contemporary cinema, this giant outdoor screen makes for a fun, leisurely evening. Included in the price of the ticket is transport to and from, and a performance by a band prior to the film. You can also take your own food and alcohol. Formerly a private home, Parc del Laberint d’Horta is set in incredibly designed, historic, French inspired gardens. 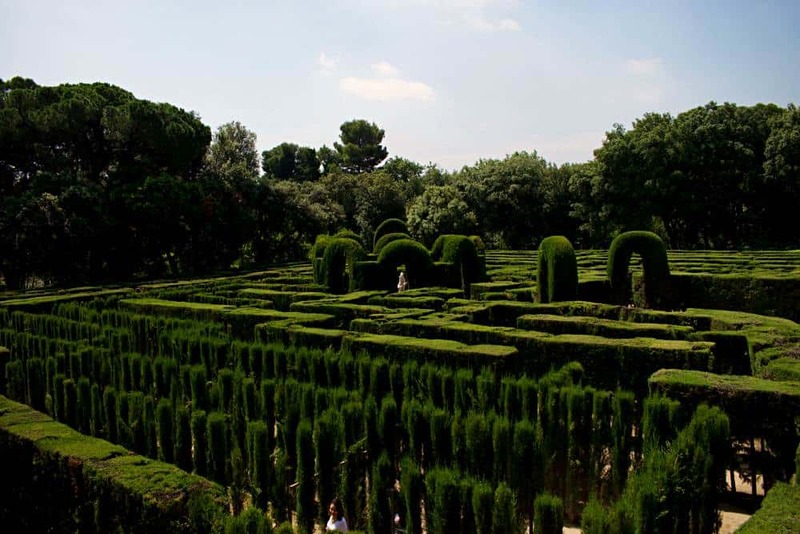 These include features like a canal, a pavilion, and the crowning glory, a giant labyrinth or maze. There are no crowds and it’s just a few Euros to get in. One of the very best things about visiting barcelona is all of the incredible things you can stuff your gob with. While a lot of what’s on offer could be classed as Spanish cuisine, the Basque region has a proud, distinctive food tradition of its own. Cuisine from this area still has that mediterranean flavour, but also draws heavily from its neighbours France and Italy. This heady mix of influences combines to create something extremely special. Fideua – similar to a paella, but made with short noodles instead of rice. Pintxos – the Catalan equivalent of tapas, where each delicious portion is served on a slice of baguette-like bread. Gazpacho – this tomato and cucumber soup is served cold making it a refreshing remedy for those warm summer afternoons. Crema Catalana – a cross between a creme brulee and a panna cotta, this wobbly custard dessert is a perfect ending to any meal. Patates Braves – similar to patatas bravas, but instead of a tomato sauce on your fried potatoes, there’s a creamy, garlicky aioli. Xipirons – baby squid the size of your thumbnail fried just until they’re melt in the mouth tender. Pernil Iberic – the local name for the tantalising cured ham that comes thinly sliced and tastes delicious paired with some crusty bread. The best way to try all of these and more on the cheap is to make lunch your main meal of the day, and hit the restaurants on weekdays. On the continent, breakfast is largely passed over anyway, with a pastry and a coffee being the extent of it. But in Barcelona, lunch is where people quite literally dine out. This is thanks to the great tradition of menu del dia. If you’re unfamiliar with the concept, your life is about to get a whole lot better. 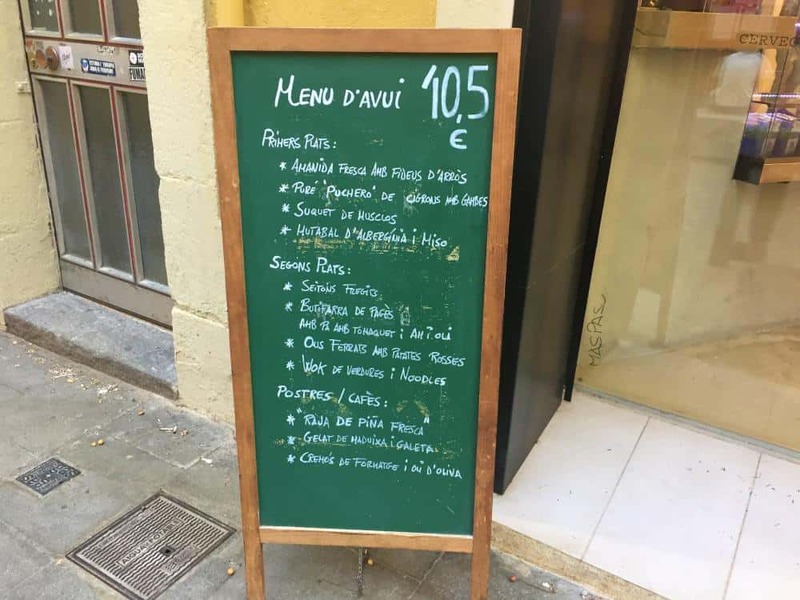 Introduced by the dictator General Franco’s administration, and said to be the only good thing they did, menu del dia ensures that virtually every restaurant in the city offers a bargain basement, set price menu at lunchtime during the week. You get a starter, a main, a dessert, plus a drink, all for around the €10 mark. For a drink it’s usually wine beer or a soft drink on offer. 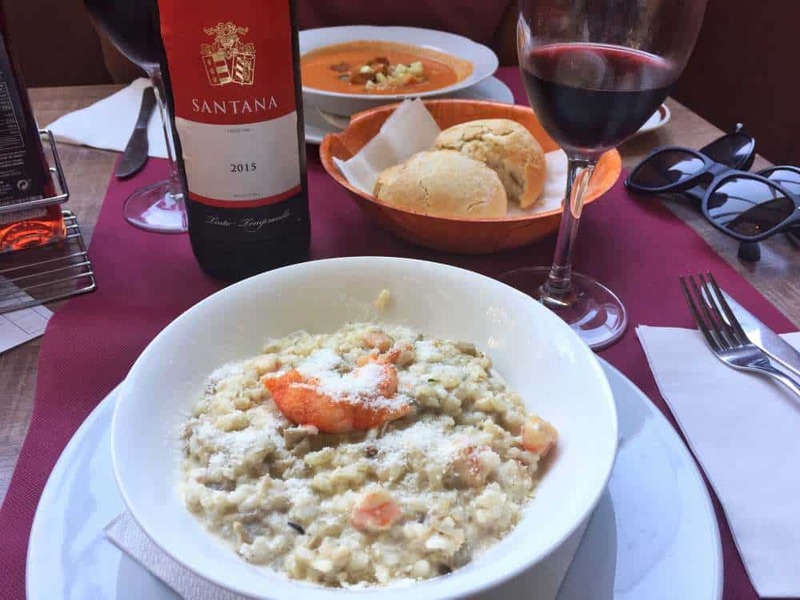 The starters tend to be the best and biggest part of the meal with local specialities usually on offer. Things like gazpacho, fideua, tuna salad, or spaghetti with a creamy sauce are mainstays. The mains are generally then a very simple dish of meat or fish accompanied by a small portion of veg. Deserts are often unremarkable, but still do the job of rounding off the meal for those with a sweet tooth. Crema catalana, chocolate cake, or even just some chopped fruit are all very common. There is simply no better way to enjoy a 3 course meal with a drink at a lower price point. Even many of top restaurants have menu del dias. Though these are slightly more expensive than €10, they provide a great option to sample haute cuisine on a budget. A brilliant way to keep costs down when visiting Barcelona on a budget is to cook your evening meals yourself. Clearly you’ll need access to kitchen facilities, but if you’re staying in an Airbnb then it’s likely you will. 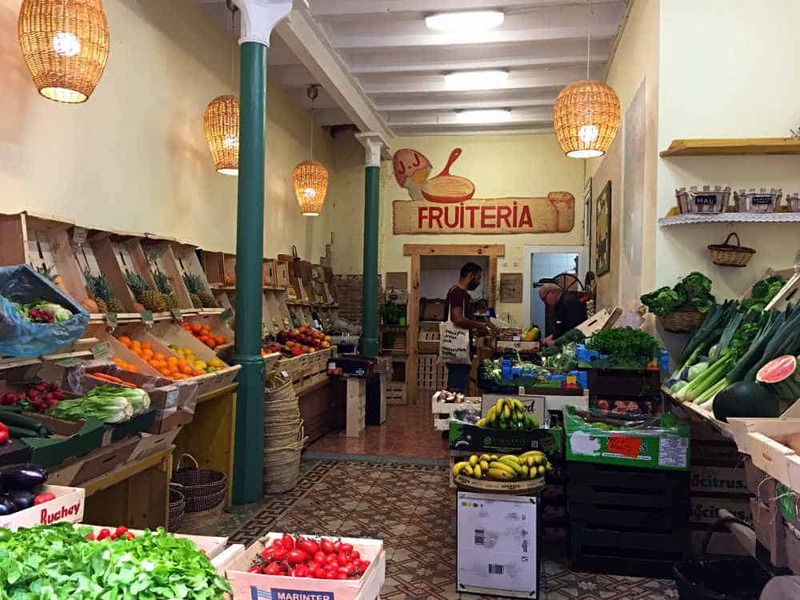 Probably the cheapest decent supermarket in Barcelona is Mercadona, and there are some fantastic local food markets with top produce. But for fruit and veg, nothing beats the little greengrocers dotted along virtually every street in many neighbourhoods. The cheapest stuff to get is locally grown produce that’s currently in season. The easiest way to tell is to be guided by the prices. If it’s cheap, plentiful, and ripe, then it’s likely to be in season and farmed nearby. Barcelona is well renowned for its buzzing nightlife, and is rightly known as a city that doesn’t sleep. It caters to every kind of after hours feels, whether you’re a laid back lounger or an all night raver. But not every night spot is conducive to hitting up Barcelona on a budget. Superclubs like the 5 story Razzmatazz or internationally known Pacha may secure stellar DJ lineups and put on huge nights. But they are also going to drain your wallet quicker than you can say “two sangrias please”. 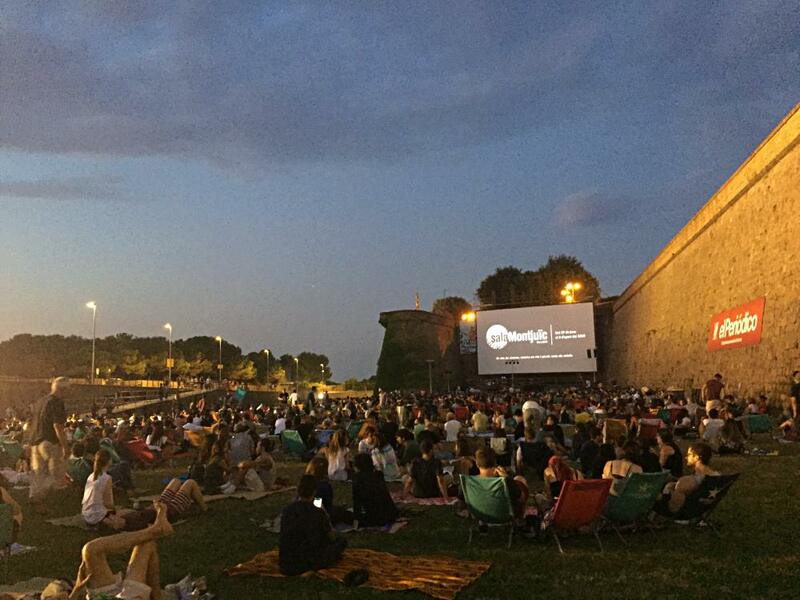 Instead, you should try to think outside the box when it comes to enjoying a cheap night out in Barcelona. The first thing to do is to avoid the big tourist traps like the plague. 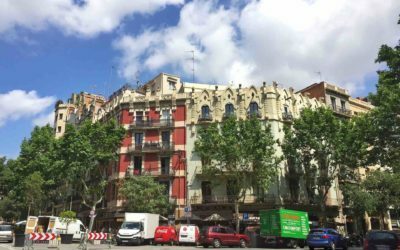 Anywhere in and around La Rambla, the Gothic Quarter, and Barceloneta is going to come with a price tag. Consider heading to some slightly less touristy areas. Forget about the big names as well, after all, in many of them that’s all that you’re paying for. Areas like El Raval and Gracia have a real indie feel to them. You’ll find lots of trendy little bars and clubs that are privately owned and operated. Many night spots have fantastic drinks offers either as daily happy hours or recurring weekly promotions. Do a bit of research beforehand to see what’s on before choosing which bars you’ll be heading to. If you want to make it really cheap then you should think about forgoing the bars and clubs altogether. Alcohol is dirt cheap in Barcelona. From a supermarket you can pick up a can of beer for around 30c, a litre of premixed sangria for around €1.30, or a bottle of spirits for less than €6. You can also buy very decent wine or cava (the Spanish equivalent of champagne) at around €3 per bottle. This means you can grab a few drinks and simply head to a nice spot with friends to enjoy them. The squares, beaches, or viewpoints that overlook the city are all brilliant outdoor options. Just remember to be respectful in residential areas, keep the noise down to a minimum later on. The police tend to stop things at around midnight inthe squares, so use that as a guide for when to call it a night. Drop us a comment below with any questions you might have about visiting Barcelona on a budget. Or if you have any awesome tips to add, please feel free to share those below as well.